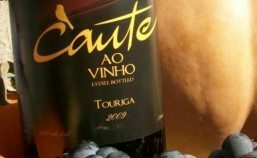 Wine Tasting Hours: Fri – Sun, 11 a.m. – 5 p.m.
Wine Bar Hours (wine by the glass/bottle): Wed & Thu, 4 – 8 p.m.; Fri & Sat, 5 – 9 p.m.
Cante Ao Vinho is a Family Winery which enjoys making wine in the Old World style. Owned and run by the Farinha Family near the old Camp Far West out post along the Bear River. We make a verity of wines, Portuguese, Spanish, French, and Italian. We love three things, Variety, Sharing our wines with people who enjoy great wine, and having Fun doing it. Very much the old world way. 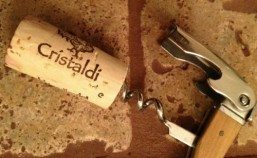 There are ways to make wine that are ready to drink now, or a way where you must wait for them. And the prize is great. Although we do not have much patience ourselves the wines are well worth waiting for. Our Tasting Room is in the 1905 granite Joesph Barudoni building at 5250 Front Steet, Rocklin across from the Old Saint Mary’s Chapel. How fitting our old world wines in a time gone by granite building. 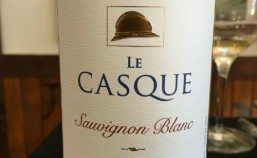 Casque produces small lots of hand crafted Rhone and Bordeaux style wines from the absolute best vineyard sources in the California Sierra Foothills. 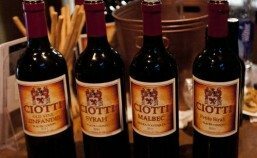 They embrace the time-honored French tradition of blending several different varietals together to create a wine that is greater than the sum of its parts. After spending several years making their wines at other local wineries, Casque Wines recently completed their own production facility at 3273 Swetzer Road in downtown Loomis CA just in time for their 2011 crush. This urban production facility is also a tasting room by day and a wine bar at night located next to Loomis Basin Brewing. Patrons will enjoy wine on the patio with fire pits and outdoor heaters. For inclement weather wine is served inside the winery. Casque Wines features live acoustical music fire side every Saturday evening from 5-8pm focusing on singer/songwriter artists with no cover charge. They invite people to enjoy the fire pits while listening to some original and mainstream music under the stars. Many more activities are being planned including the start-up of open mic night and outdoor movies in the spring time.